Creek Side Stitches is a pattern company dedicated to promote the art of quilting. Patricia Hellenbrand is the creator and author of these patterns. 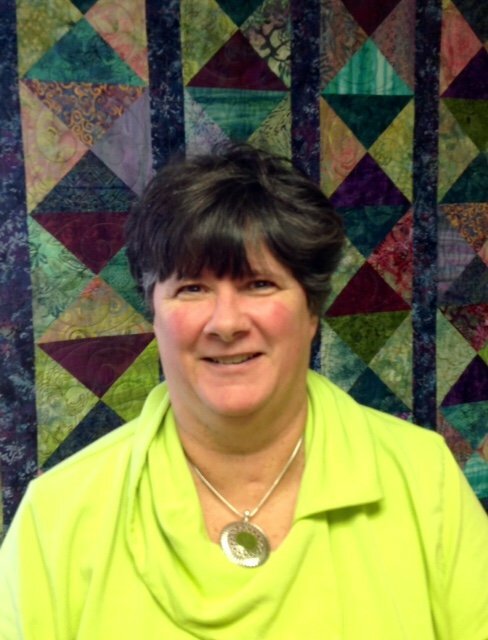 Located in Lodi Wisconsin which is along the beautiful Wisconsin River Valley, Patti has owned and operated Village Creek Quilt Shop since 2004, and in 2006 started writing quilt patterns under the name Creek Side Stitches. Many of the patterns are using precuts such as Layer Cakes, Charm squares and Mini Charm squares. Patti has been quilting for more than 25 years, she took her first quilting class through the local Technical College back in the 70's. She put quilting on the back burner to raise 3 beautiful daughters but kept up with sewing by making clothes and items for local craft shows. In the late 1990's she got back into quilting and has not stopped since.